Printing Process: Ink jet printing. Stuck in Rewind—Pausing failure, rewinding the past, and moving forward in the films of Cameron Crowe. 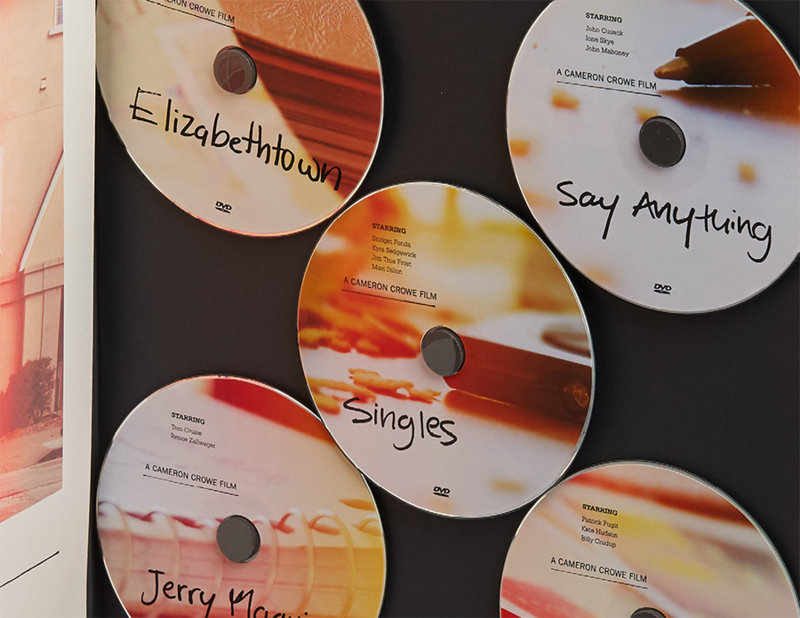 A film festival showcasing the movies of An-all American director, Cameron Crowe. He’s known for his iconic movies, retro feel, and work as a music journalist for the rolling stone. The thread of his movies always revolve around battered idealists and music lovers who temporarily lose their course in life but are prepared to take the journey and at the end they get what they’re looking for. However, they collect memories and memorabilia along the way. 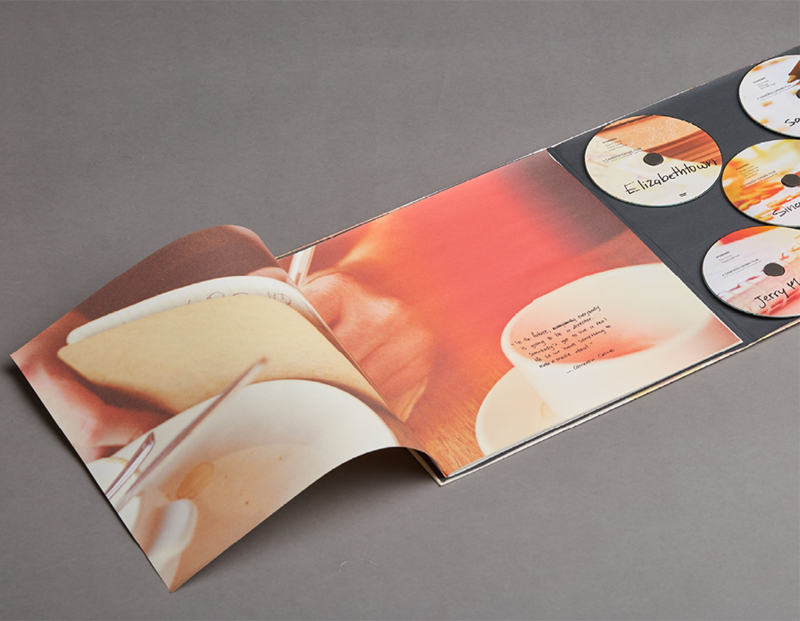 I’ve elected to design a DVD package that looks like a 12-inch vinyl package with modifications to fit all five DVDS, act as a memorabilia which can be displayed, as well as a space for an-oversized booklet. 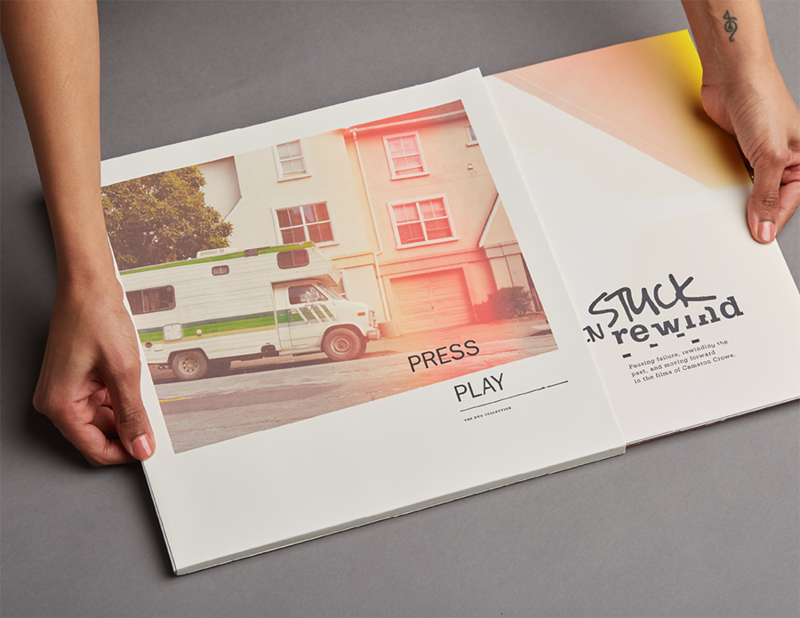 Visual style: Photography with light-leaks to represent being outside in the California sun and the documentation of a journey, DVD vinyl-like package celebrates the love for music, and the handwritten type depicts the characters of the movie. 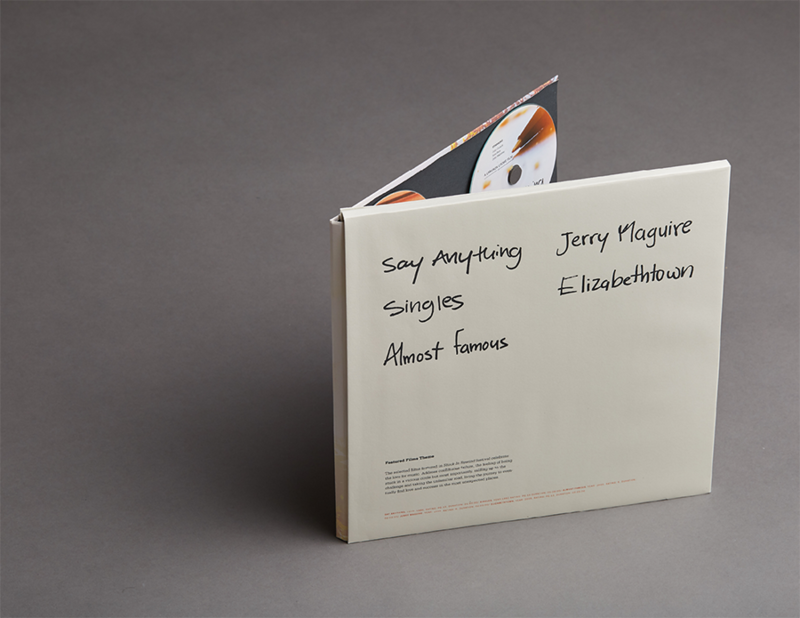 Selected Movies (Images on the DVD labels are a reoccurring subject in every movie): Singles, Say Anything, Almost Famous, Elizabethtown, and Jerry Maguire. 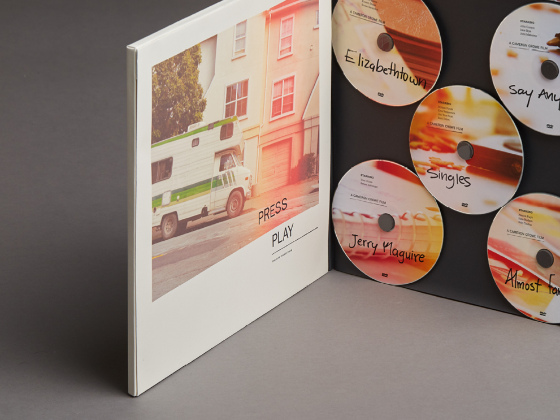 A DVD package for a Cameron Crowe film festival that showcases his selected work through an integerated design. 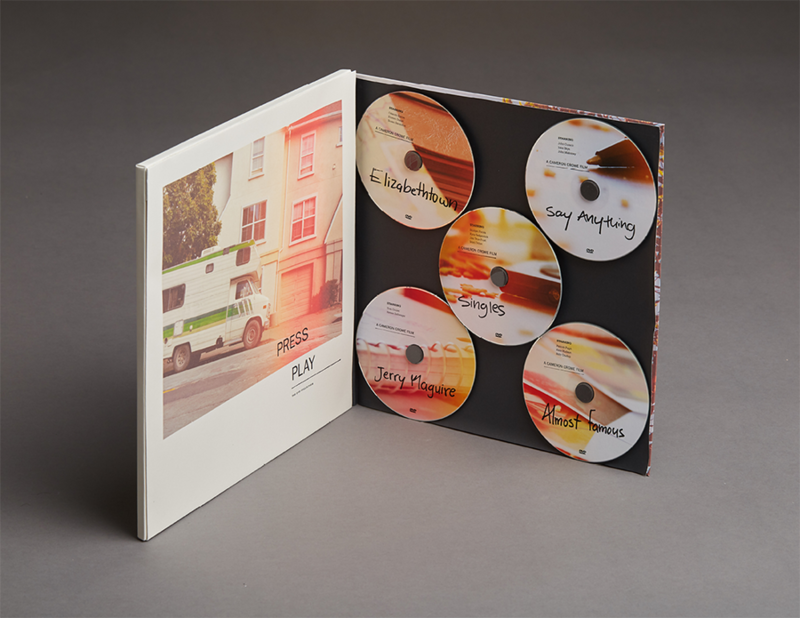 Turning the usual 12-inch Vinyl package into a DVD package that can be displayed as a memorabilia, fits all five DVDS, as well as a space for an-oversized booklet.